Torture does not work. Never has, never will. This comment was rated as ‘funny’, which I think is a grave mistake. I think this is 1) very true, 2) not funny at all, and 3) much more important than most people realize. I am continually surprised by the fact that everybody seems to think that everything has always been, will continue to be, and, in fact, should be free. Of course, in reality, nothing is. It is just that the real cost of a lot of products (be it Facebook or the latest gadgets) is hidden for the consumer. This is especially true for a lot of websites. Almost all people expect the web to be free (as in beer). That may be great – but of course, these sites cost money – and lots of it. (YouTube is expect to lose $470.6 million this year.) What you pay for, in these cases, is almost always freedom. You might not notice it, you might not even care, but you do. Mars robots may have destroyed evidence of life!?! It just reminds me how difficult it is to devise tests that you run remotely, without seeing what is actually happening. You need to take so many variables into account that almost inevitably you miss some…! Paper folding – no crayons or ink! 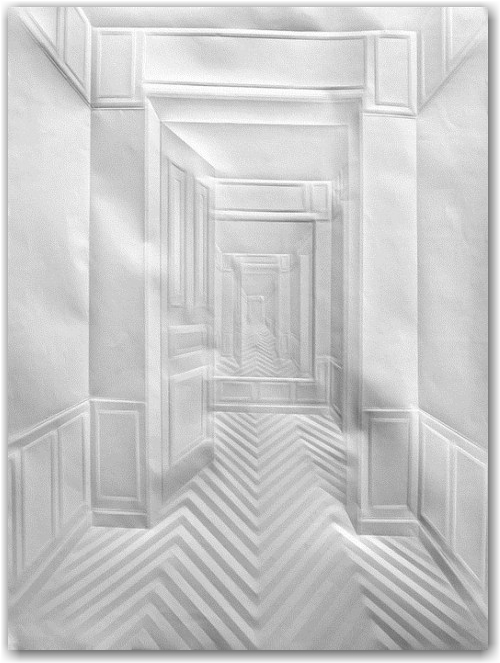 Art, created by folding paper… amazing! More work can be found here.